Little, Brown Books for Young Readers, 9780316015486, 40pp. 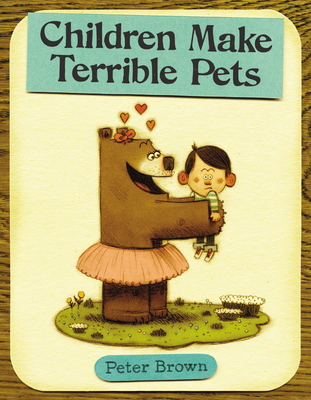 Check out this bestselling, rollicking, and humorous twist on the classic "first pet" story about a young bear and her favorite pet boy! When Lucy, a young bear, discovers a boy in the woods, she's absolutely delighted. She brings him home and begs her mom to let her keep him, even though her mom warns, "Children make terrible pets." But mom relents, and Lucy gets to name her new pet Squeaker.